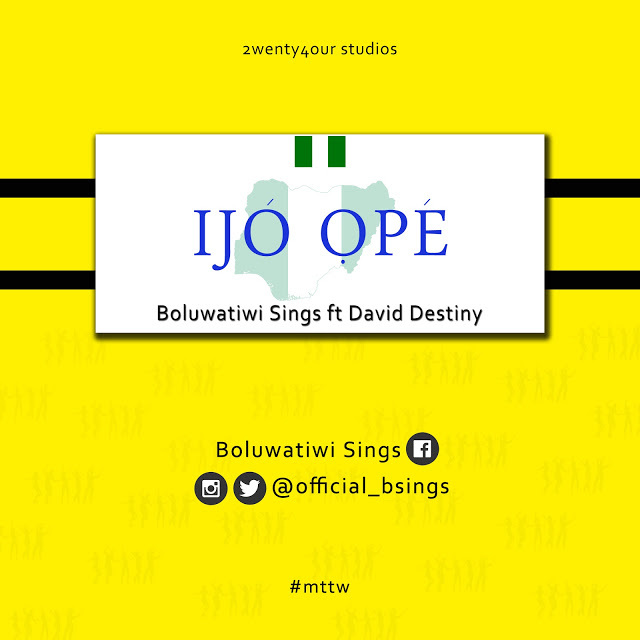 The Song “Ijo Ope” is an expression of thanksgiving to The Almighty God for his faithfulness and kindness. The song portrays an individual who is been adamant to dance as an appreciation to God. Boluwatiwi Sings (Odufuye Boluwatiwi Edward) is a Worship Leader, an Instrumentalist and O.A.P(On-Air-Personality) extraordinaire. He has anointed to help both young and old discover the undiscovered Greatness of The Almighty God through Music and The word.